Shameless plug: On 5/14, Sen. Sanders (I-VT) hosted a live town hall on the Iran nuclear deal (and also covering the situation in Gaza). Sen. Sanders was joined by Joe Cirincione, president of the nuclear disarmament group Ploughshares Fund; Suzanne DiMaggio, a senior fellow at New America; Rob Malley, president and CEO of International Crisis Group; and Lara Friedman, president of the Foundation for Middle East Peace. Full video is here. (SACRIFICE FREE SPEECH TO QUASH CRITICISM OF ISRAEL) HR 5924 and S. 2940: Introduced 5/23 in the House by Roskam (R-IL) and Deutsch (D-FL) and 10 bipartisan cosponsors, and in the Senate by Scott (R-SC) and Casey (D-PA), and 3 bipartisan cosponsors, the “Anti-Semitism Awareness Act” (press release here). In the House, referred to the Committee on the Judiciary, and the Committee on Education and the Workforce; in the Senate, referred to the Committee on Health, Education, Labor, and Pensions. For full discussion of this anti-free speech measure, see Section 2, below. (NDAA – MIDEAST PROVISIONS) HR 5515: Over the past two weeks the House completed work on the FY19 “National Defense Authorization Act.” On The base bill includes funding for Israel-related programs and other Middle East-related provisions; during floor consideration, a number of additional Middle East-related provisions were adopted. On 5/24, the House passed the measure by a vote of 351-66. For full details, see Section3, below. (GOING AFTER TERRORISTS) S. 2946 and HR 5954: Introduced 5/24 – in the Senate by Grassley (R-IA) and Cruz (R-TX), and 7 bipartisan cosponsors; in the House by Goodlatte (R-VA) and Nadler (D-NY), and 3 bipartisan cosponsors – the “Anti-Terrorism Clarification Act of 2018” [text is here]. As noted in Cruz’s press release, the purpose of the bill is to make “needed improvements to the Antiterrorism Act of 1992 to better ensure that American victims of international terrorism can obtain justice in U.S. courts by holding accountable those who commit, or aid and abet, terrorist activity abroad.” Cruz goes on to assert that, “The history of Palestinian and Iranian terrorism against Americans is extensive, going decades and ranging from hijackings to suicide bombings and assassinations,” Sen. Cruz said. “For too long American citizens have been disgracefully denied justice. This bill will ensure that American victims of terrorism are empowered to secure accountability from terrorists and their supporters.” The press release specifically cites Sokolow v. Palestine Liberation Organization in explaining the need for the legislation. Referred to the Judiciary Committees. ($$ FOR ISRAEL IN ENERGY & WATER APPROPS BILL) HR XXXX: On 5/22, the House Appropriations Committee released its report on the FY29 Energy and Water Appropriations bill (bill not formally introduced as of this writing). The report notes that the bill includes recommendations $2,000,000 for the Israel Binational Industrial Research and Development (BIRD) Foundation and $4,000,000 for the U.S.-Israel Center of Excellence in Energy, Engineering and Water Technology. (MOVE US NUKES OUT OF TURKEY) HR 5840: Introduced 5/16 by Bilirakis (R-FL) and Sarbanes (D-MD), “the Relocating U.S. Nuclear Weapons from Turkey Review Act of 2018.” The Dear Colleague seeking cosponsors of the bill states (among other things), “Turkey is no longer a reliable close ally to the United States. Under President Recep Tayyip Erdogan, the Republic of Turkey has become increasingly Islamist, authoritarian, and intolerant of press freedom and civil liberties. Storing U.S. nuclear weapons in Turkey no longer makes sense…” Referred to the Committee on Armed Services, and the Committee on Foreign Affairs. (REPORT ON SYRIA) S. 2882: Introduced 5/17 by Cortez Masto (D-NV) and no cosponsors, “A bill to require a report on the United States strategy in Syria, and for other purposes.” Referred to the Committee on Foreign Relations. Press release is here; text is here. (DON’T DESTROY SUSYA & KHAN AL AHMAR) House Dems’ letter to Bibi: On May 21, a letter, led by Schakowsky (D-IL) and signed by a total of 74 House Democrats, was sent to Israeli Prime Minister Netanyahu imploring him not to demolish the Palestinian village of Susya in the West Bank. Text of the letter is here. NOTE: On 5/24, an Israeli court upheld the government’s decision to demolish Khan al Ahmar; that demolition is expected to take place in the coming weeks (further background is here). (HELP GAZA) Senate Dems’ letter to Pompeo: On May 15, a letter was sent, led by Sanders (I-VT) and Feinstein (D-CA) and signed by a total of 13 Senate Democrats, was sent to Secretary of State Pompeo imploring him to “do more to alleviate the ongoing humanitarian crisis in the Gaza Strip. Text of the letter is here. Sanders’ press release is here; Feinstein’s press release is here. At the end of 2016, legislation was original introduced in both the House and Senate entitled, the “Anti-Semitism Awareness Act” (ASAA) - S.10 & HR 6421. In May 2018, this legislation was re-introduced, once again as a bipartisan, bicameral effort (HR 5924 and S. 2940). (1) Let there be no confusion: the objective of this effort is quashing free speech challenging Israel & Israeli policies, not fighting anti-Semitism. Commenting on one of such effort, the head of the ACLU’s Washington Legislative office warned that it “opens the door to considering anti-Israel political statements and activities as possible grounds for civil rights investigations.” And listen to the Anti-Defamation League (one of the groups prominently supporting/claiming credit for the legislation) in how it describes the original legislation: ADL’s Dec 2, 2016 tweet - “When do on campus expressions of anti-#Israel beliefs cross the line? This Act will help students know --> http://bit.ly/2gJ6q4c “; and ADL’s Dec 6, 2016 tweet - “New bill clarifies when campus anti-Israel speech is FA protected and when it’s unlawful discrimination. Take action:http://ow.ly/AsEJ306Sjp2 “. (6) If this measure passes into law, the broader implications for free speech are far-reaching. The impact of these bills, if adopted into law, would ultimately not be limited to campus free speech. If this definition of anti-Semitism is adopted into law, it can be predicted with great confidence that the new definition, as stipulated in law, will become the reference point for other laws seeking to quash free speech in other contexts. This is not hyperbolic speculation. This is exactly what happened with the definition of “boycott of Israel” that was included in two bills (TPA & Customs) signed into law under President Obama. Since then, the definition of “boycott of Israel” legislated in those bills, which deliberately conflates Israel and the occupied territories, has been used as the basis (in some cases explicitly) for laws making it the policy of the U.S. & many U.S. states to support settlements. The dangers to free speech inherent in this current legislative effort are even more serious: if passed into law, this new cynical, politicized definition of anti-Semitism could be – and almost certainly would be – harnessed to existing anti-hate, anti-discrimination legislation. The implications of such a development on Americans’ free speech would be far-reaching and devastating. Data table tracking legislative efforts to exploit concerns about anti-Semitism to quash free speech, both in Congress and in U.S. states, 2016-present. Compendium of expert resources/analysis on the constitutional questions raised by the measures. 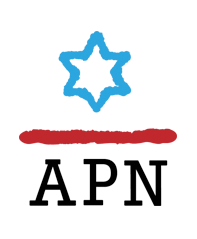 Groups publicly supporting/lobbying for passage of this anti-free speech effort include (so far), according to summary posted by Deutch (D-FL): “The Anti-Semitism Awareness Act is supported by many major Jewish organization in the country, including the Anti-Defamation League, Simon Wiesenthal Center, Jewish Federations of North America, AIPAC, and the American Jewish Committee, as well as Christians United for Israel.” [links added where I could find them]. Also the Louis D. Brandeis Center for Human Rights Under Law. As noted above, on 5/23, the House passed HR 5515, the FY19 National Defense Authorization Act (NDAA). In parallel, on 5/24, the Senate Armed Services Committee issued a press release summarizing its version of the NDAA (details in a forthcoming Round-Up, as the bill moves forward). Section 1221: Extension and modification of authority to provide assistance to counter the Islamic State of Iraq and Syria. Section 1222: Extension of authority to provide assistance to the vetted Syrian opposition. Section 1223: Extension and modification of authority to support operations and activities of the Office of Security Cooperation in Iraq. Section 1224: Sense of Congress on ballistic missile cooperation to counter Iran. Section 1225: Strategy to counter destabilizing activities of Iran. Section 1226: Report on compliance of Iran under the Chemical Weapons Convention. Section 227: Report on potential release of chemical weapons or chemical weapons precursors from Barzeh Research and Development Center and Him Shinshar chemical weapons storage and bunker facilities in Homs province of Syria. Section 1228: Report on cooperation between Iran and the Russian Federation. Section 1271: Report on status of the United States relationship with the Republic of Turkey. Section 1276: United States-Israel countering unmanned aerial systems cooperation. Crist (D-FL) press release on this provision, which he offered in committee as an amendment, is here). Section 1286: Report on United States strategy in Yemen. Section 1287: Report on Hizballah. Section 1672: Sense of Congress on missile and rocket defense cooperation between the United States and Israel. NEW IRAN REPORT: Amendment offered by Lipinski (D-IL), Roskam (R-IL), Hultgren (R-IL), and Gonzalez (D-TX), “Requires an annual report from the Secretary of State and the Director of National Intelligence describing Iranian expenditures on military and terrorist activities outside the country. This report must be submitted annually until such time as the Secretary of State determines Iran no longer provides support for terrorism.” Press release here. DELETING REPORT ON COUNTERING IRAN: An amendment offered by Gabbard (D-HI). “Strikes section 1225, a required strategy to counter destabilizing activities of Iran” Gabbard’s floor statement in support of the amendment is here. May 23, 2018: The House Foreign Affairs Committee held a hearing entitled, "Strengthening American Diplomacy: Reviewing the State Department’s Budget, Operations, and Policy Priorities,” featuring new Secretary of State Pompeo (written statement). The hearing featured a lot of discussion of Iran and the Middle East – worth watching in full (video is here). Notably, Ros-Lehtinen (R-FL) asked (very politely – hard to imagine she would have been so polite if the previous Administration had ignored the law) why the PLO has been allowed to stay open, contrary to US law – Pompeo’s non-response is here. Royce’s (D-CA) opening statement is here. May 22, 2018: The House Foreign Affairs Committee’s Subcommittee on the Middle East and North Africa held a hearing entitled, “Lebanon and Iraq: After the Elections.” Witnesses were: Michael Doran, Hudson Institute (statement); Danielle Pletka, AEI (statement); and Tamara Cofman Wittes, Brookings (statement). Video is here. Wilson (R-SC) 5/16: Floor statement praising US ambassador to the UN for her speech at the UN defending the Jerusalem embassy move and bashing the Palestinians, Hamas, and Iran.